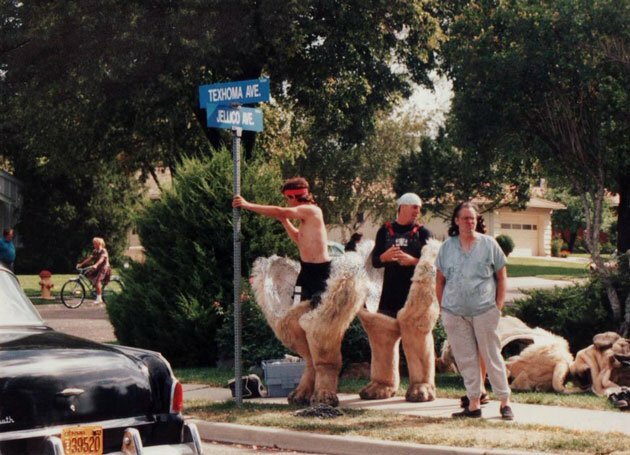 Writer-director David M. Evans knew full well that a major aspect of childhood is the power and allure of local legends. Fueled by the overactive imaginations of kids, everyday figures and things transform into insidious terrors. The old man who keeps to himself, or refuses to let kids into his yard to retrieve their runway Frisbees and baseballs, becomes a malevolent madman. 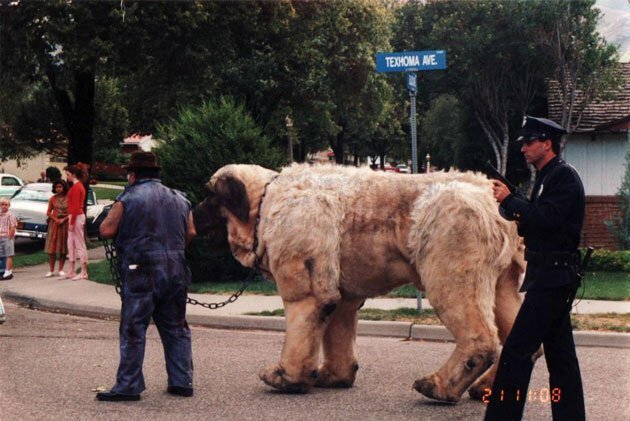 The old English mastiff chained up in a decrepit backyard becomes The Beast, a creature with a thirst for human flesh and hell-bent on ruining summer fun. These were the villains lurking at the edge of the ball field in Evans' beloved kid comedy The Sandlot. In one of its most memorable sequences The Beast gets loose and tirelessly chases the brave Benny all over town, his massive head and gargantuan paws just inches away from our handsome hero. Well, Buzzfeed has come across some behind the scenes images of how The Beast was put together. Pulled from Evan's blog, these images reveal some insight into just how much work was required to bring The Beast to life. 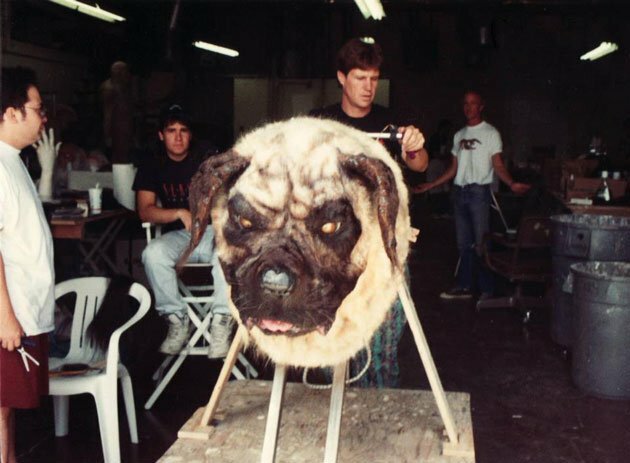 The image up top is a close-up of the "Giant Beast Head," while the images below show the puppeteers who operated the oversized suit, both in and partially out of the crazy costume. Evans notes that both the head and suit were constructed by special effects/animatronics master Rick Lazarini. Notably, Lazarini has had a part in creating the creepy movie magic of other kid-friendly classics like Radio Flyer, Hocus Pocus and The Santa Clause as well as more mature—well, scarier—fare like Aliens and Snakes on a Plane. The Sandlot is now for sale on Blu-ray.